Ryan Tannehill, Dolphins: Since returning from injury two weeks ago, Tannehill has tossed five TD passes with just one INT. That doesn’t mean he’s ringing up 300-yard outings, but he’s been efficient in what he does. Tannehill has completed 67 percent of his throws, and now goes up against a Patriots defense that is simply having an off year. Jaylen Samuels, Steelers: None other than “the most interesting waiver add of all time” in Engel’s book, as Samuels also qualifies as a TE. With production at a premium from the TE spot, having a guy who carries 15 times is a bonus. No question he’ll get his share of touches with RB James Conner ruled out for this week and perhaps the rest of the regular season. Jeff Wilson, 49ers: The expected starter now with Matt Breida ruled out to rest either a high ankle sprain or deep bruise. Wilson caught 8 passes for 73 yards last week, adding another 61 yards on the ground. Alfred Blue also figures to get some touches, but he failed to spark the 49ers the last time Breida was hurt. This is an audition for Wilson to play a bigger role. Dante Pettis, 49ers: In a year in which they can’t keep their top playmakers healthy, the 49ers have gradually seen Pettis step to the forefront. The former Washington standout has 206 yards and three TDs in his past two games, finding a niche that allows him to showcase big-play ability. He’s become San Fran’s No.2 weapon behind TE George Kittle. 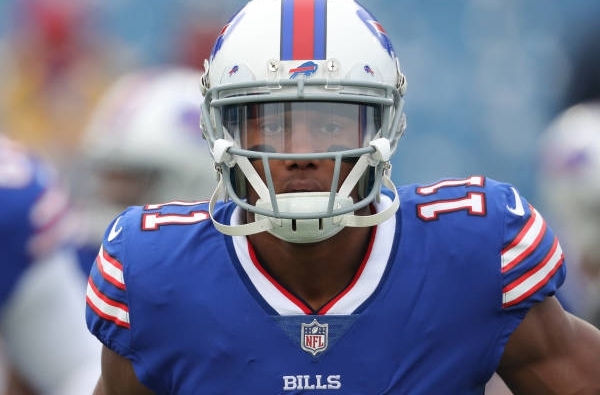 Zay Jones, Bills: Jones had four catches for 67 yards and 2 TDs in last week’s loss to the Dolphins, the fourth time in the past five outings that he’s pulled in at least four receptions. He also had eight catches for 93 yards and a TD in Buffalo’s first meeting vs. the Jets. That came with Matt Barkley at QB, but Josh Allen is finding comfort with Jones too. Jonnu Smith, Titans: Though Smith figured to be the beneficiary when Delanie Walker was lost in Week 2, he’s still available in most leagues. He’s had at least two catches in each of Tennessee’s past six games, though, including three TDs. During that same stretch, he’s been unable to come up with the catch on just four targets.